BED HEAD by TIGI. Have fun. Be Cool. Wake Up & Be A Bed Head! Fashion has finally found the real world. We have come to a time and place where the look is to simply embrace what comes natural and forget about faking the rest. 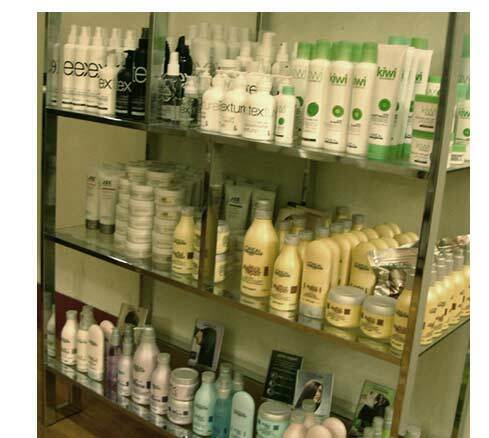 Joe Grooming Joe's vision is to manufacture and distribute the best men's hair products. Joe seeks to serve the broadest, deepest customer base possible by providing the highest quality assortment of men's grooming products to the finest professional hair and grooming service salons. Knotty Boy Dread Wax is an all-natural beeswax/hemp-seed oil dread goop, specifically designed for starting and maintaining dreadlocks with ANY kind of hair. It's a great conditioner for already-formed locks, and works miracles on dry, damaged dreads. American Crew, a professional line of products with a total commitment to men's haircare, grooming and shave needs. Containing only the finest natural ingredients, American Crew is the absolute best personal care system available to men and we offer the most complete selection on the web. L'Oreal - Majirel, unique moisture-rich haircolor formulas that condition the hair from within. The Maj brands are haircoloring beauty treatments designed to answer just about every haircoloring need. L'Oreal - Serie Expert, Série Expert has been exclusively created for professionals: and is only 'available in the salons of the world's greatest hairdressers'. Série Expert is exceptional due to its high precision formulations. Whatever your hair type, Série Expert offers a precise solution, nothing is left to chance.